Hunsbury Dental Care is committed to protecting the privacy and security of your personal information. 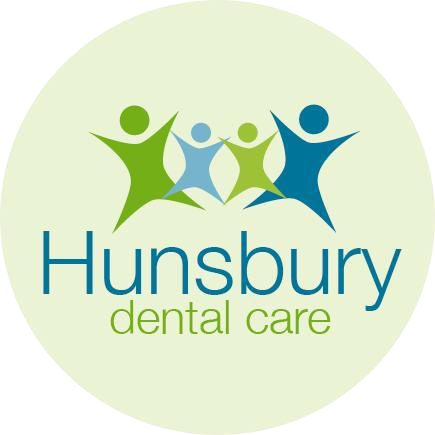 Hunsbury Dental Care is a “data controller”. This means that we are responsible for deciding how we hold and use personal information about you as a patient. We are required under data protection legislation to notify you of the information contained in this privacy notice. This notice applies to current and former patients of Hunsbury Dental Care. This notice does not form part of any contract to provide services. We may update this notice at any time. • Personal contact details such as name, title, addresses, telephone numbers, and personal email addresses. • Marital status and dependants. • Next of kin and emergency contact information. • Registration date with Hunsbury Dental Care. • Information that the individual is or has been a patient of Hunsbury Dental Care or has attended, cancelled or failed to attend an appointment on a certain day. We will collect additional personal information in the course of marketing activities carried out by Hunsbury Dental Care. 3.Archiving your sensitive personal date data for use in the public interest, scientific interest. Also, this data may be used in for historical and statistical purposes. • Administering the terms and conditions we have entered into with you. • Administering our Dental Plan Membership Scheme. • Details regarding your personal identification such as your physical condition. This includes x-ray imaging, genetic and biometric data. • Information concerning your medical history, including physical and/or mental condition and your oral health or condition. • Information about discussions undertaken and agreements reached on treatment options, including costs of any proposed treatment. • Information about the treatment that is planned, is being undertaken or has been provided. • Information about family members and personal circumstances supplied by you or others. We will share your personal information with other entities in our group as part of our regular reporting activities on Hunsbury Dental Care performance, in the context of a business activities such as system maintenance support and hosting of data. If you want to review, verify, correct or request erasure of your personal information, object to the processing of your personal data, or request that we transfer a copy of your personal information to another party, please contact Sanjay Tailor, practice owner, in writing. In the limited circumstances where you may have provided your consent to the collection, processing and transfer of your personal information for a specific purpose, you have the right to withdraw your consent for that specific processing at any time. To withdraw your consent please contact Sanjay Tailor, practice owner. Once we have received notification that you have withdrawn your consent, we will no longer process your information for the purpose or purposes you originally agreed to, unless we have another legitimate basis for doing so in law. We have appointed Miss Heather Bess as our Data Protection Officer to oversee compliance with this privacy notice. If you have any questions about this privacy notice or how we handle your personal information, please contact the Data Protection Officer. You have the right to make a complaint at any time to the Information Commissioner’s Office (ICO), the UK supervisory authority for data protection issues. Please read our full Privacy Notice here.